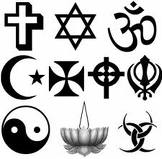 While there are many things we have in common with other religions, there are, of course, several salient issues that set us apart. There is the Priesthood, prophets, revelation, and the Book of Mormon. But chief among these differences is the concept of the covenant. Most of us were exposed to covenants quite early in our lives as we prepared for baptism. Then we were taught we renew our covenants each week we partake of the symbols of the sacrament. Next we were taught about the oath and covenant of the Priesthood. Finally, we learned we make multiple covenants when we enter the temple with the sealing being oft referred to as the crowning jewel of all covenants. Why does God want us to make covenants? Luckily, the Book of Mormon provides us clarity about these crucial questions. Let’s focus on the stories from Alma the Elder to see what they can teach. We last left Alma fleeing the court of King Noah hotly pursued by the palace guards. His crimes included not only defending Abinidi but believing the prophet’s words as well. After repenting, Alma became the voice of the martyred Abinidi. Soon, Alma had a large group of followers yearning to find the hope and happiness promised through the atonement. Fearing for his own safety and worried about those who believed his words, Alma taught his followers by the waters of Mormon, far away from King Noah’s focus. Previous to the people’s arrival, the Lord taught Alma about the need for his friends to be baptized. 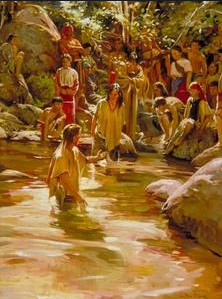 Now, baptism wasn’t new to the Nephites. Nephi taught his people about baptism soon after arriving at the Promised Land. As part of the apostasy under King Noah, the ordinance of baptism was forgotten. But no saving ordinance is ever performed without a covenant attached to it. So, to prepare his people for the ordinance baptism, Alma needed to teach them the meaning of the covenant they were about to make. 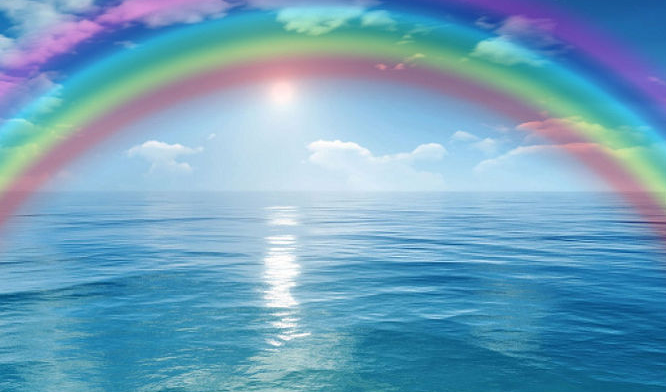 To be clear, when we were baptized, we made this same covenant of community. Because it is a covenant, it demands effort. We can’t just consent to this covenant and then do nothing. Rather, the call to serve one another becomes all consuming. Membership in the church is all about making a lifelong commitment to living a life of selfless service. So, the first thing the Book of Mormon teaches us regarding covenants is that they are all-consuming commitments. But covenants also create a binding relationship between us and God – a relationship where, oddly enough, both sides benefit. I feel that is why Mormon takes us on the journey with Alma and his people to the Land of Helam.